Safari is still one of the best web browsers for macOS, especially if you are bought into Apple’s famous walled garden. 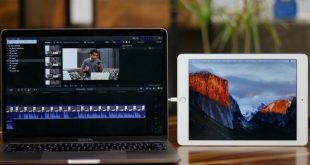 Privacy, Reader View, Autofill passwords and automatically pausing the YouTube video when I take out one of my Airpods – are a few reasons, why I moved from Google Chrome to Safari. That said, I still miss the awesome Google chrome extensions. So, the first thing I did, after switching from Google Chrome to Safari is to look for extensions. 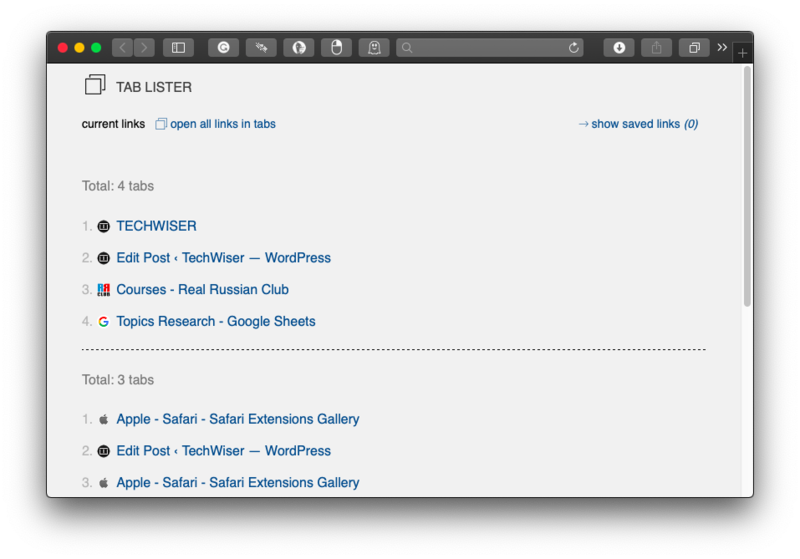 And I’ve to admit, while the catalog is not as huge as Chrome, there are some pretty good Safari extensions out there. The extensions are from categories such as productivity, security, shopping etc. You would find at least one Safari extension that suits your need. Shall we start the list, then? 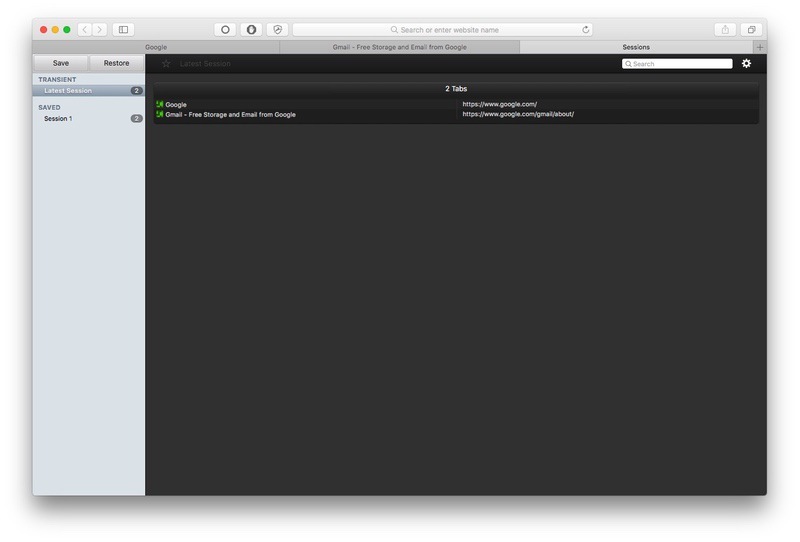 Sessions is a wonderful Safari extension for browsing session management. 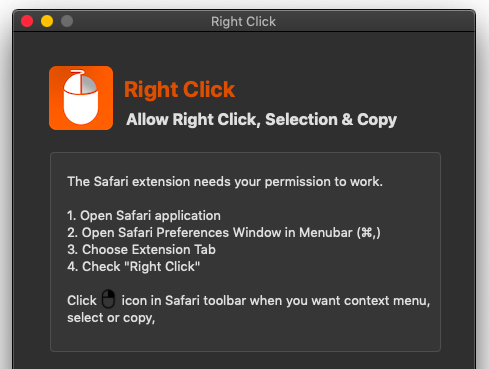 When you have more than 10 or 20 tabs open on the Safari window, this extension will help you clear things up. Sessions will auto-save your tab/window information, but you can manually save them too. The next time you want to know what you’d read a few days before, Sessions history would be there to help you. Personally speaking, I use this to save all my research tabs for later reference. Ads can be annoying while using Safari too. Fortunately, there is Adblock Plus that can block almost all kinds of advertisements you see. That having said, Adblock Plus may allow some types of non-intrusive ads to be displayed. This could be turned off from Safari > Preferences > Adblock Plus. 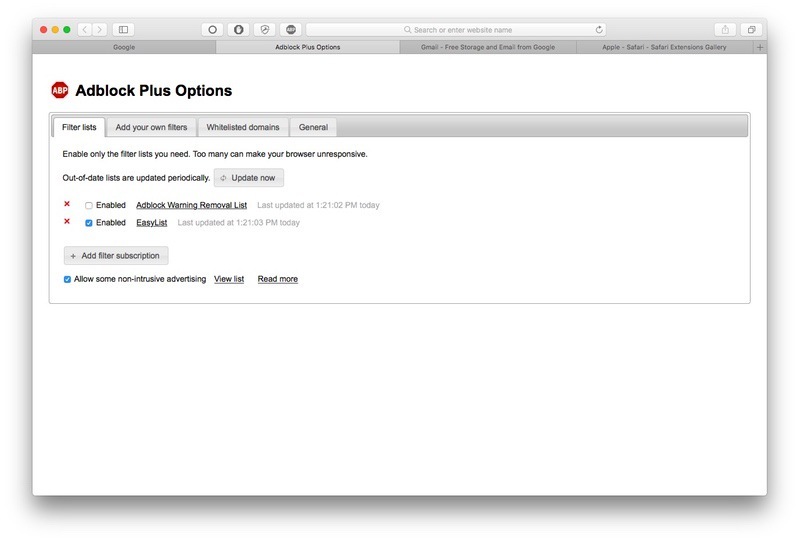 Once you install this Safari extension, you don’t have to worry about those YouTube ads either. It should be noted, however, that many websites would ask you to disable this extension for accessing content. Still, in most instances, Adblock Plus is one of the must-have Safari extensions in 2018. That said, support your favorite content creator by whitelisting their website or YouTube channel on Adblocker. If you read things on the web, Save to Pocket would be a handy addition to the Safari extensions list. It lets you save web articles and video to your Pocket account and read them later. The best part is that Pocket brings you the content in an easily-readable form. It excludes advertisements and unnecessary content. Once synced, your Pocket saves would be available across devices. The next time you find a long article to read, make sure you save it to Pocket. HoverSee is another awesome Safari extension for most people. It lets you zoom into images and links when you hover the icon on it. For instance, on YouTube, when you hover on a video link, it will show you the video playback in a small section. Trust me, it’s an awesome feature when you want to know what’s up with a video without fully watching it. Personally speaking, I use this extension more often in YouTube than to zoom into images. 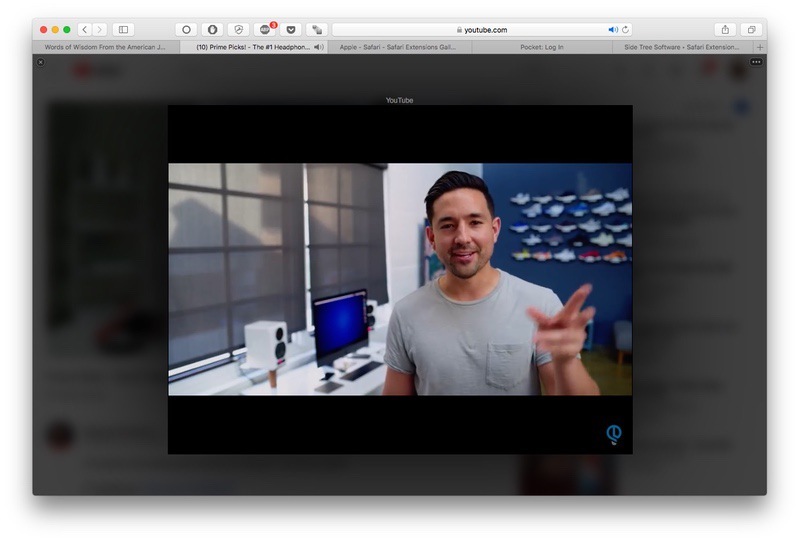 Awesome Screenshot is another must-have Safari extension that enhances your productivity. It lets you take screenshots from the current webpage. You can either capture the full page or specify the region. After the screenshot, however, Awesome Screenshot lets you annotate a lot of things. Once you are done, you either save the screenshot, annotate it or share it with others. 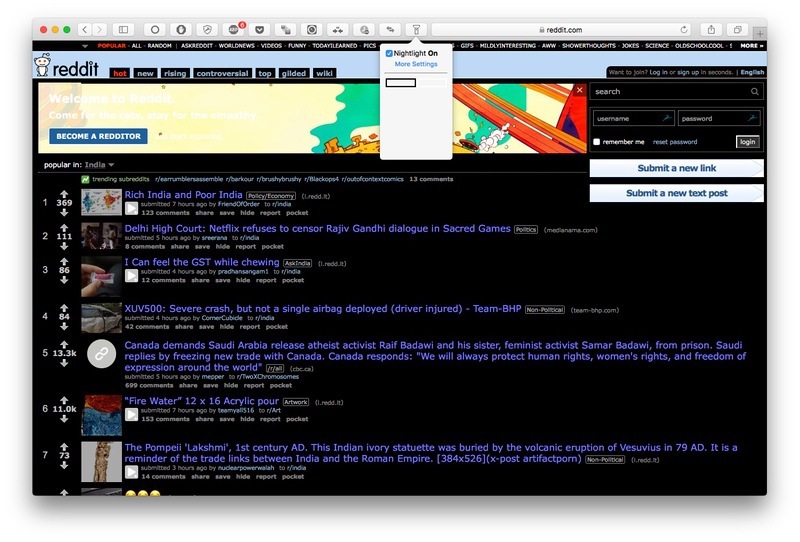 It’s a pretty solid Safari extension that you would find useful in many instances. 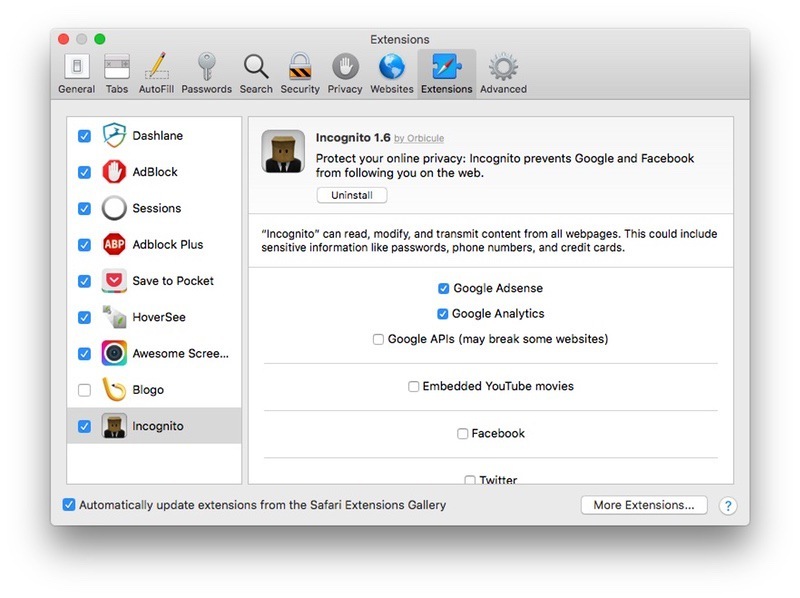 Incognito is a wonderful Safari extension for privacy protection. However, it does something so awesome — it prevents big companies like Google and Facebook from tracking you on the web. 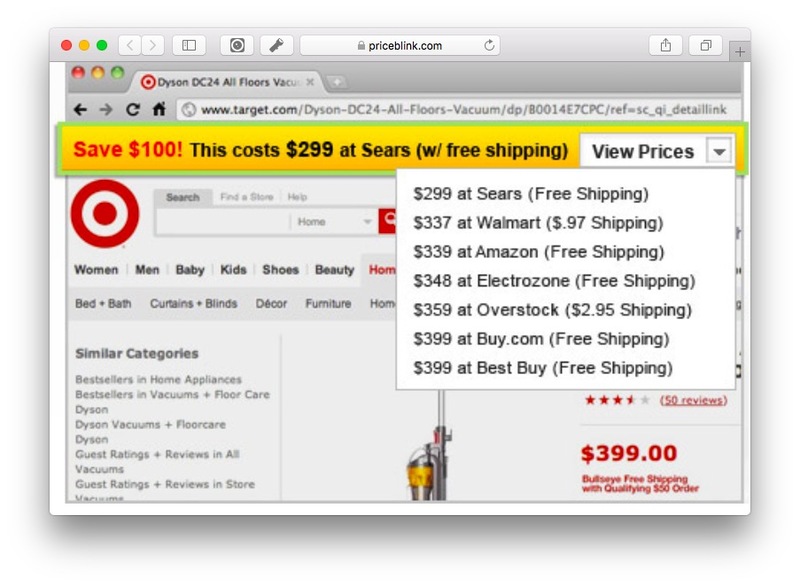 Once you start using this extension, you’d not see targeted advertisements across the web. In a way or another, Incognito can prevent Google and Facebook from having your complete online picture. It needs to be noted that Incognito lets you decide which services are to be blocked and which aren’t. Shortly is an amazing productivity extension for Safari. Every once in a while, we need short-links to share a URL on the web. Shortly makes that feature available in a single click. Instead of going through multiple steps to get the short URL, you can simply tap on the Shortly button. In seconds, the extension will show you the goo.gl short-link of the current webpage. It’s as simple as that, you know. Just hit Cmd+C and the short-link would be copied too. PiPer is the tool you all were waiting for. 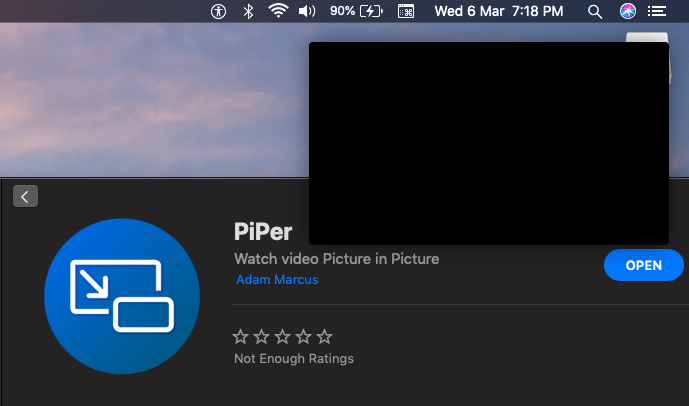 This is a picture in picture mode extension for your safari browser and yes, it supports Netflix and Prime Videos etc. You won’t find a specific tab on the taskbar but the switch can be seen on the video interface itself while it’s playing. WasteNoTime does exactly what you guessed it would do. It helps you save the time you waste on the web, by tracking what you visit the most. 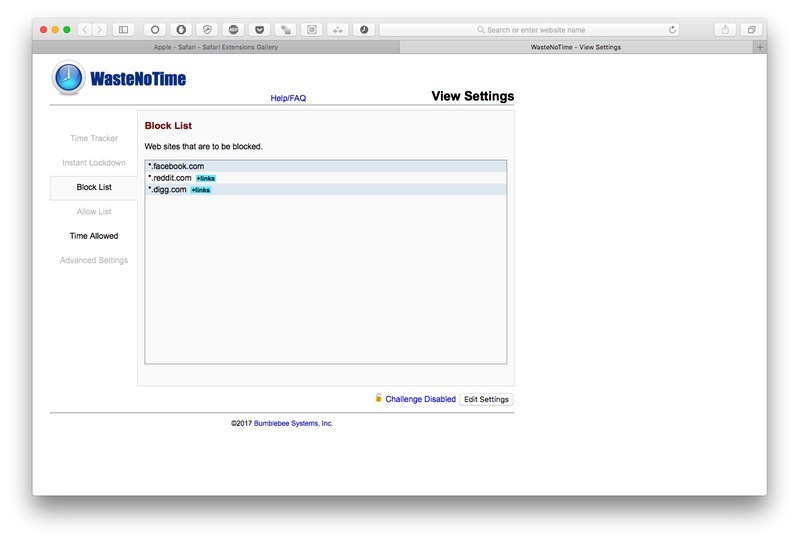 As with the case of most productivity booster tools, WasteNoTime lets you create a block-list. When it’s time, all the websites would be blocked by the system. At the end of the day, you would have to work during the work hours. As far as analytics goes, WasteNoTime shows you the time you’ve spent on each of the main sites. 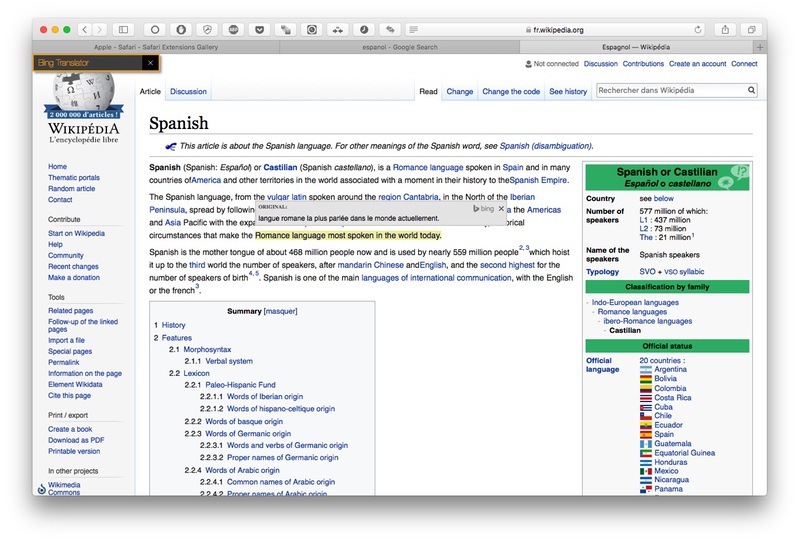 A kind-of must have an extension for Safari, Translate is quite useful if you read around the web. As you know, unlike Chrome, Safari doesn’t have an inbuilt translation feature. So, this extension brings Bing Translate to the browser. The features are still awesome, you know. You can hover over a sentence to see the actual set of words and meaning. When compared to others, Translate does not put much weight on resources either. It’s recommended for all Safari users. macOS Mojave comes with the long-awaited Dark Mode option built-in, however, if you haven’t updated it yet but still want the dark mode on websites that you are visiting. It’s like you are getting the Dark Mode for websites. Even if the website has a white color pattern, it would become dark if Nightlight is enabled. While simple websites should work, we’d not recommend Nightlight for complex websites out there. If you spend a lot of time looking at the computer screen at night, you should check this out. If you shop online, Honey can be your best friend in seconds. As you know, many online shops run discount coupons and promotional campaigns. You may not know about all these. Honey has a wonderful database of such coupons and offers. So, Honey will find you the perfect deal and apply it during the checkout. It offers support for a huge number of online shopping sites. Trust us, Honey is one of the best ways to save money while shopping online. 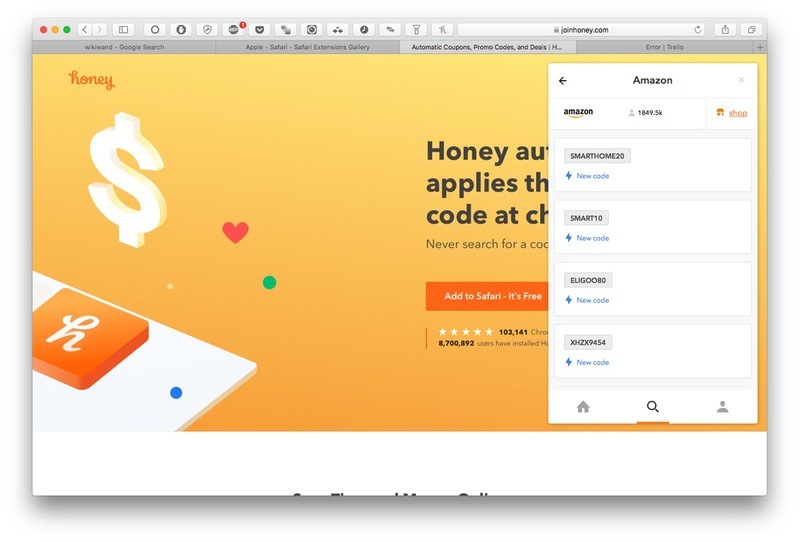 We talked about Honey, which lets you find coupons for popular online sites. PriceBlink does something very different — it lets you find whether other retailers are offering the same product for lower price. To get an idea, suppose you are looking for some gaming accessories. There is a chance that an offline retailer may be having a lower price tag. PriceBlink also brings you details about shipping costs, user-reviews, and coupons for certain merchants. Simply put, Keepa is an Amazon price tracker. It lets you track the price of a product in the past. 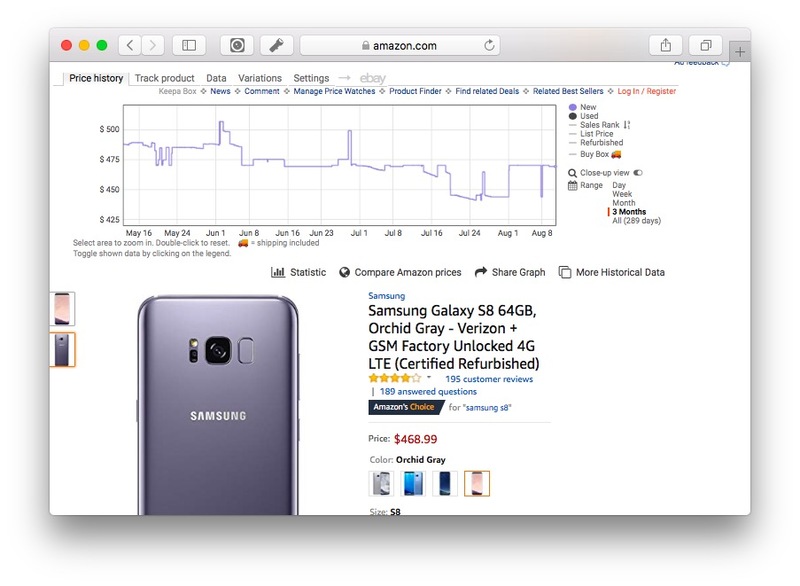 When you’ve installed this extension, you can see additional Price Tracker section with every Amazon product page. In the sector, it shows a graph of the product price history for upto 3 years. You can also set up alerts to notify when the product price hits a particular point. Even otherwise, Keepa is a great way to know whether the product will be possibly made available for a cheaper rate in the future. 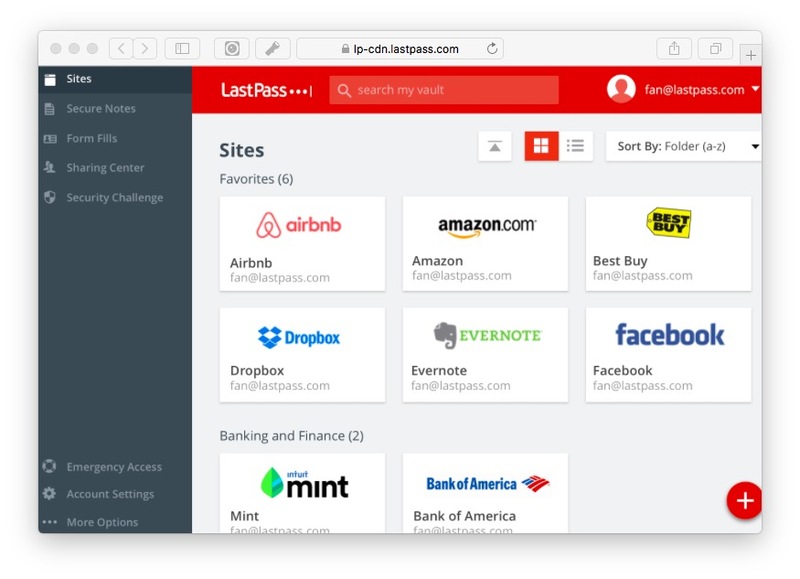 LastPass is one of the best security-focused Safari extensions you can install right now. As you know, it’s not a good habit to use the same password for multiple online services. But, you cannot remember all the different passwords either. LastPass fixes this thing. It will generate and save different passwords for your services. It also offers multi-device syncing; in case you’re interested. To begin, you will have to set a really impressive master password. Facebook has an effective UI, but ads and sponsored posts make it quite unusable at times. That is why you should start using the Cleaner for Facebook extension for Safari. 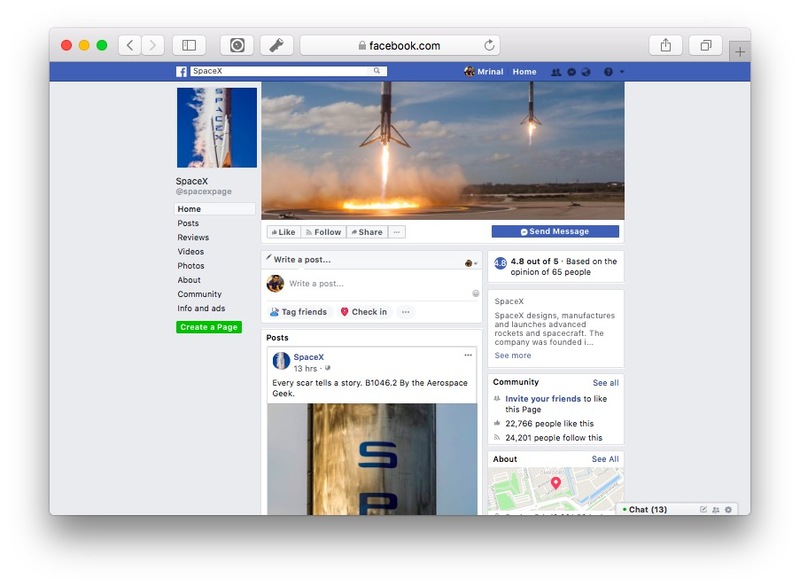 It removes Facebook ads, sponsored posts, and ticker from the Facebook interface. So, you will be able to enjoy the posts from pages and people you’re following. We also loved the fact that Cleaner for Facebook is pretty clean. 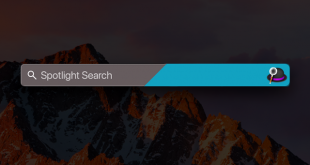 It does not even put an icon on the Safari bar. 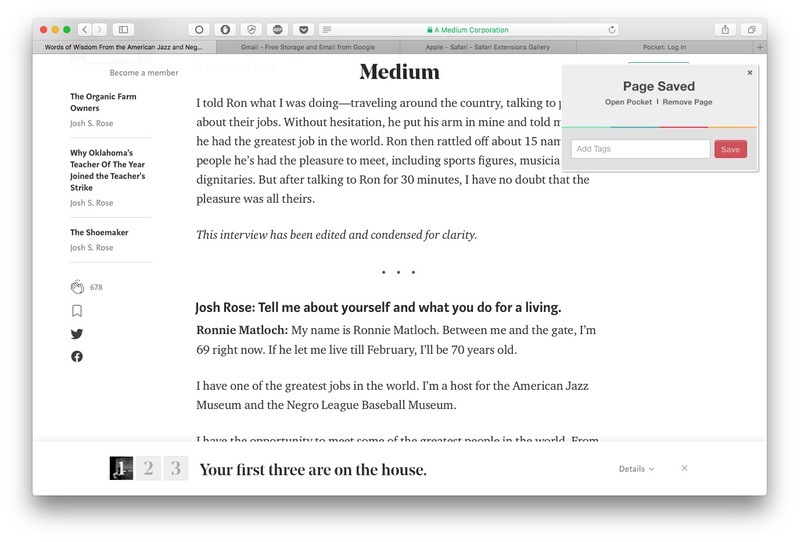 Instapaper is another extension that lets you save things to read later. However, in this case, you can save a number of different things like articles and videos. We also loved the way how Instapaper presents articles when you want to read. It’s way better than the nasty design even some popular websites have. Because it has official apps available for other devices, Instapaper lets you enjoy reading the favorite articles no matter where you are. Another security-and-privacy Safari extension, Wipr will help you stay away from trackers and ads. Contrary to other ad-blockers we’ve listed here, Wipr does a great job at keeping you away from big names like Google and Facebook. Even while it removes trackers from your web experience, Wipr does not slow down Safari browser. 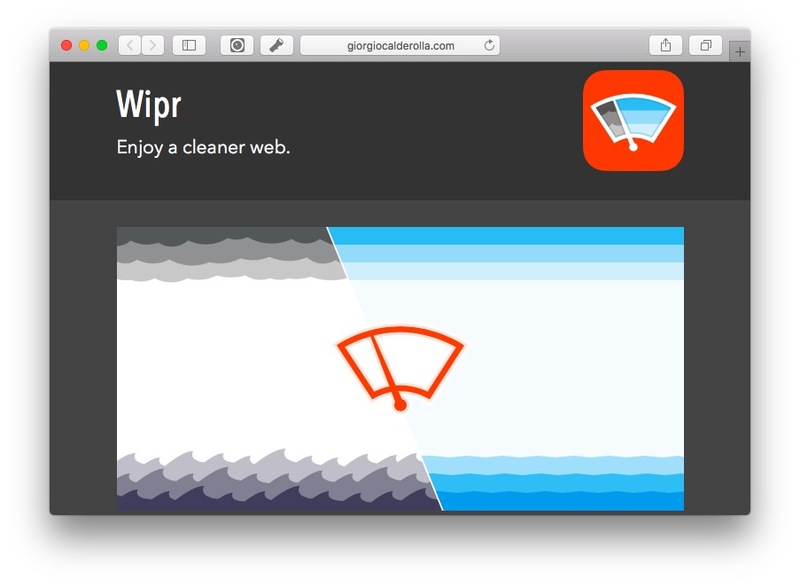 Altogether, Wipr is one of the best Safari extensions to keep you away from the threats of digital tracking and privacy invasion. TrafficLight is an awesome choice if you need a better security layer over the browsing experience. The best part is that TrafficLight does this without impacting the browsing/download speeds. It does so by restricting the access to the browser itself. Even if a website tries to steal data from your device via background, TrafficLight will prevent that. 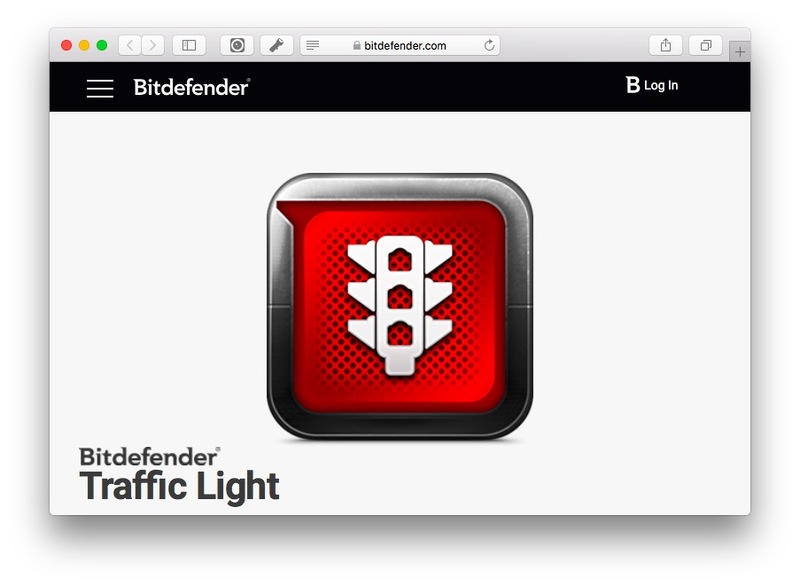 In case you are wondering about authenticity, TrafficLight is developed by BitDefender, an extremely popular antivirus developer. 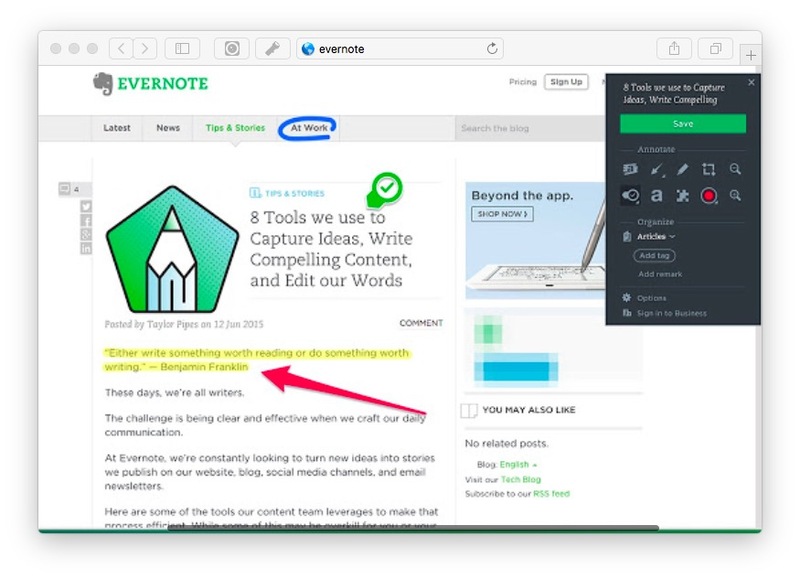 Last but definitely not the least, Evernote Web Clipper is an extension to save almost anything you find on the web. As you guessed, you need an Evernote account to do this. Just click the extension button and things will be synced with your account. It works with text, links, images, videos and more. Thanks to multi-device sync, all your data is accessible from other devices. 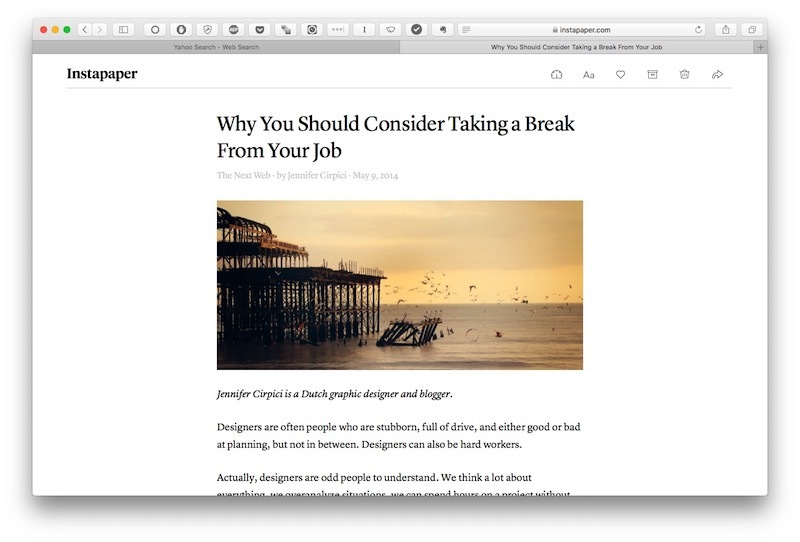 Almost like we did in Pocket and Instapaper, you can clip full-length articles using Evernote Web Clipper. Finally, this list can’t be completed without my must-have browser extension – Grammarly. 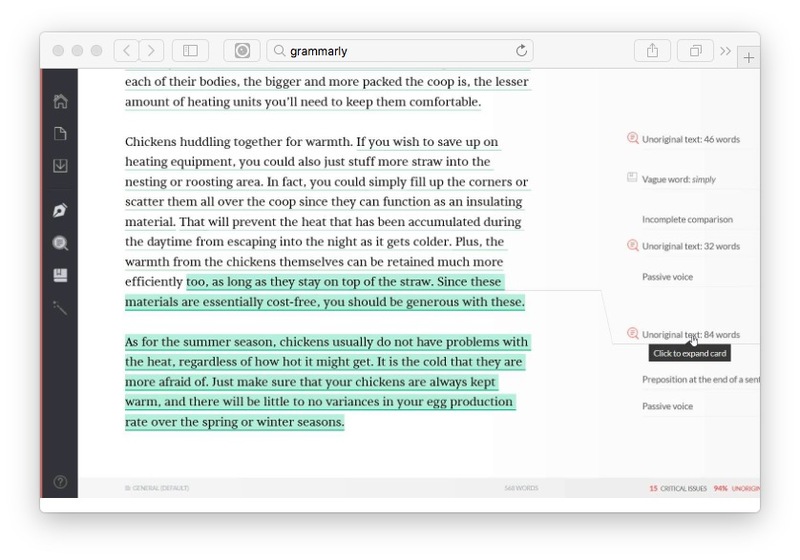 Once you installed the app, start typing on your browser like you normally do, for example, an email and Grammarly will automatically highlight the grammatical errors and spelling mistakes with a red underline. Click on the underlined words will bring up the correct suggestions. There is also a Grammarly keyboard for Android if you fancy. 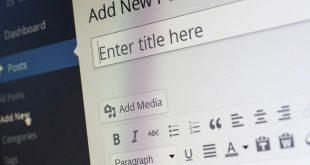 Most of the educational blogs out there don’t allow you to right click on the web page or even select text. Right Click is a total solution to that. The free app will let you copy text or right click on all websites that have it disabled by default. Just click on the app icon on the taskbar while you are on a page you want to select text from. It has to be enabled for each tab separately so the settings turn off when the tab is closed. The power of the famous search engine in your favorite browser. DuckDuckGo extension is a one-click solution to a private search in a new tab. The good part is that your default search engine will still be google. If not, just go to Safari > Preferences > DuckDuckGo and uncheck the box. 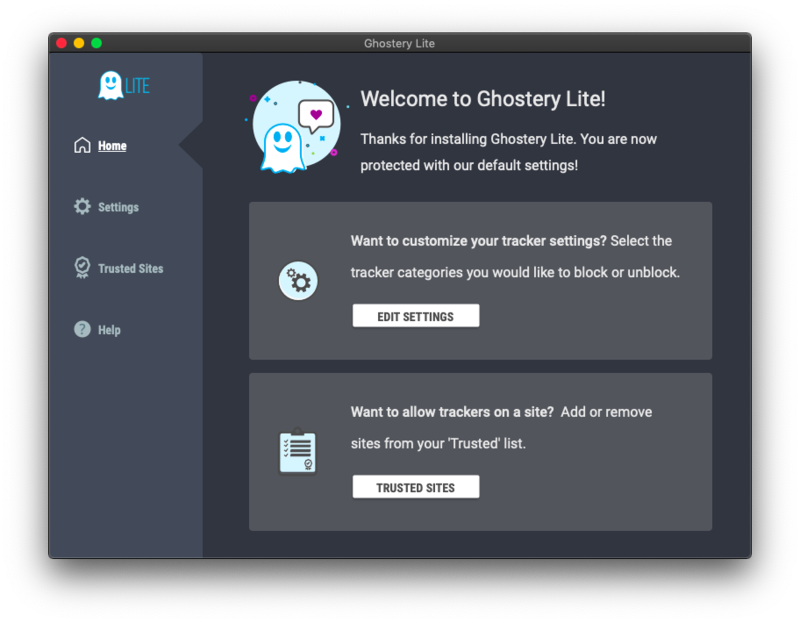 Ghostery Lite helps you reduce the clutter on a web-page. The app will block excessive ads and pop-ups on a web page. If you need to control the app for certain trusted web pages you can very well enable the UI extension. The UI extension is installed along with the main extension and can be turned on in Safari > Preferences. As the name suggests the extension will block most of the adult content on Safari. It works really well and even blocks an adult keyword search on google. It doesn’t install a switch on the taskbar so the underage in your house won’t be able to toggle it off until they know how to reach safari preferences. History Search is your best companion if you use multiple browsers at work and at home. All you have to do is add the extension to all the browsers and when you click on the History Search tab on safari you can search history from all the browsers you use. You’ll need to create an account and log in on all browsers. 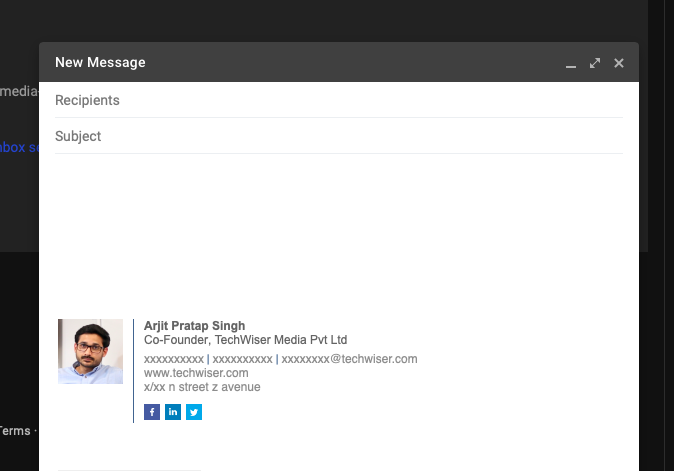 WiseStamp is a one-stop solution to multiple email signatures. All you have to do is choose a template and fill in your details. You can assign different signatures to all emails and you’ll find the WiseStamp tab on all email pages to manage and use your signatures. There is no separate tab on the taskbar though. A utility extension that is must to have if you are in a habit of working on 20+ tabs at once. 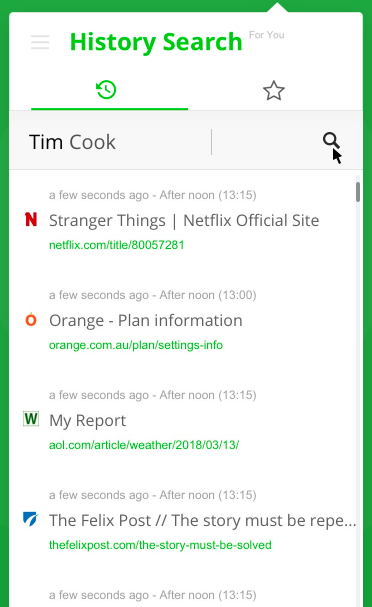 Tab Lister creates a list of all the tabs open in your browser with just one click. You can easily save them to reopen later in a single click again. This comes in handy if you have to restart you system for whatever reasons but you can’t afford to loose your tabs and wish to restart from the point you left. 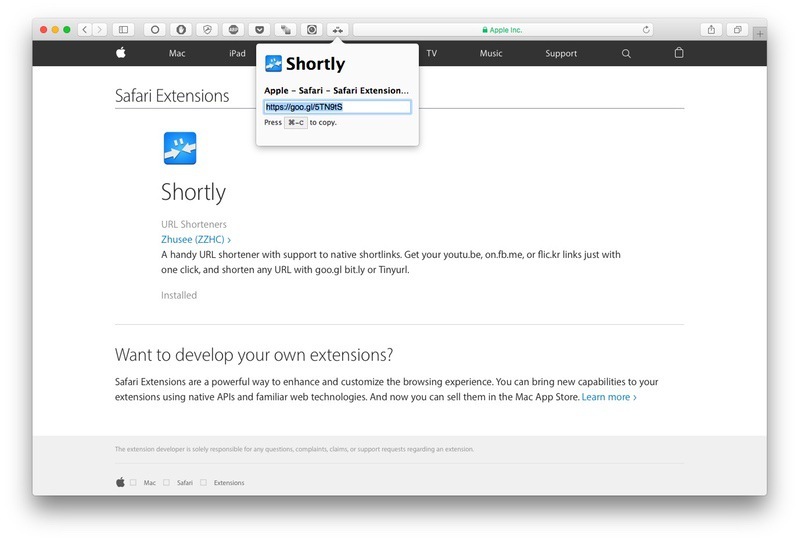 Well, we’ve managed to compile 25+ of the best Safari extensions out there. And these include some must-have extensions too. These should certainly improve your productivity and enhance your experience on Safari. Our favorites include Grammarly, DuckDuckGo search bar, and of course, PiPer for our multi-tasking needs at work. Do try out some of these and let us know your favorite in the comments below. Meanwhile, we will keep an eye on the new extensions that might pop-up in the future.